Adopting on Your Own is a guide for decision-making. It addresses the questions and concerns of the growing number of prospective single parents. The book covers all stages of the adoption process, from deciding whether it’s right for you, to orchestrating the adoption itself, to raising an adopted child as a single parent. It offers information on the latest developments in adoption policy and the evolving attitudes of agencies and social workers toward single parent adoptions. A thorough and hugely helpful book that enables the prospective adopter to think through her decisions and, step by step, become a parent. The distillation of years of work with single people thinking of adopting. A candid, clear, and concise roadmap for journeys through the adoption process. Adopting on Your Own is enriched by diversity of experiences of both the author, herself, and many other single adoptive parents. Adopting on Your Own is a valuable resource and an overdue addition to current adoption literature. Lee has struck a thoughtful balance between outlining the practical aspects of issues that are unique to single adopting parents. The consistent focus on single parenthood and the thought-provoking exercises allow the readers to immerse themselves in the joys and challenges of single adoptive parenthood. For all single people struggling with this important decision, reading Adopting on Your Own is like having a best friend who’s an adoption expert. The writing is down-to-earth, well-organized, and well-written. This is not just a book for singles. 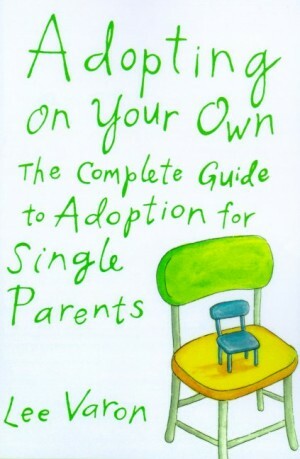 Anyone looking for a good adoption book will find Adopting on Your Own a superb guide to the adoption process and to parenting. –Merle Bombardieri, MSW, BCD, LICSW, founder Boston Single Mothers by Choice, former clinical director, national RESOLVE.